Ravello is a beautiful mountain town above the Tyrrhenian Sea & Amalfi on the famous Amalfi Coast.Ravello is a 13th century city built-in Moorish style. The gardens at Villa Cimbrone are beautiful and provide the best panoramic views of the sea far below. Villa Rufolo is another beautiful estate visited by many tourists. From Amalfi take the bus by the ferry docks up to Ravello or a taxi. 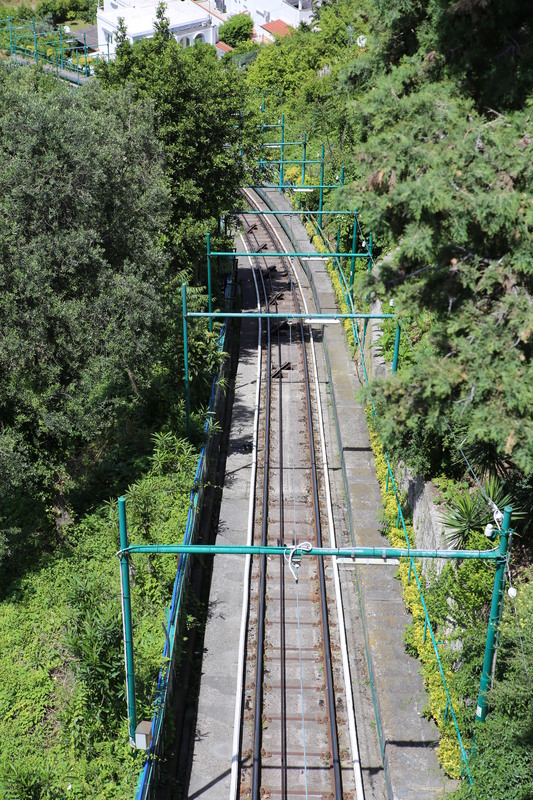 The road winds itself up a steep incline to reach the city at the top. As you get off the bus or taxi you are outside the city walls. Walk through a tunnel in the old wall to reach the city center. Villa Rufolo is on your left. The main piazza and restaurants are straight ahead. The tourists information is to the right and Villa Cimbrone is to the left at the very end of the city. Ravello is easy to navigate as it is not very large and there are only a few streets. Allow time for the two villas. Plan on luck outside in the piazza. On a hot day have a gelato in the piazza. As you leave Ravello and travel back down to Amalfi, you know you have just left a very special place. from Amalfi you can catch a bus to ferry to Positano, Sorrento, Naples or Salerno and a ferry to Capri. The Isle of Capri is a true place of beauty. This is why it became the playground of the rich and famous. Many people are confused by the isle’s name of Capri and the city of Capri on the Isle. 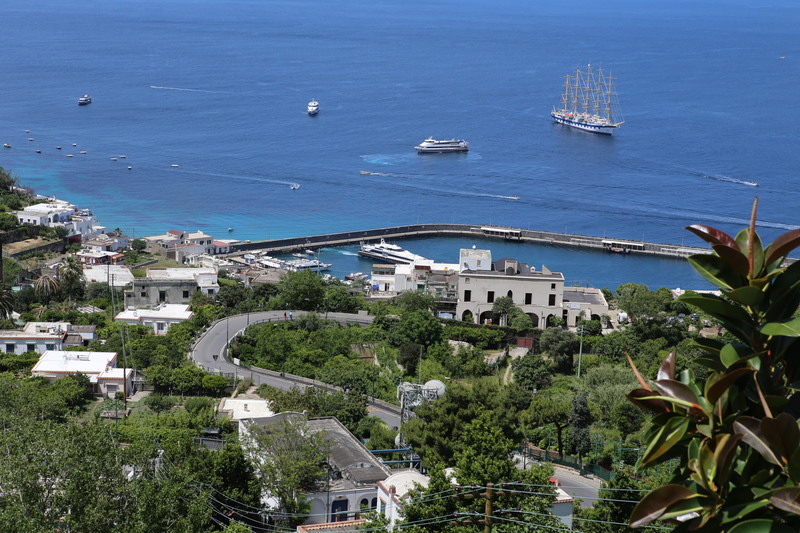 The Isle has two main cities: Capri and Anacapri. This island is rugged with cliffs and a huge mountain near Anacapri. It has two beaches, the large and small beaches. The ferries drop you off at the large beach. There is a large marina there and porters will take your bags to your hotel. This is a great idea since you will be walking. 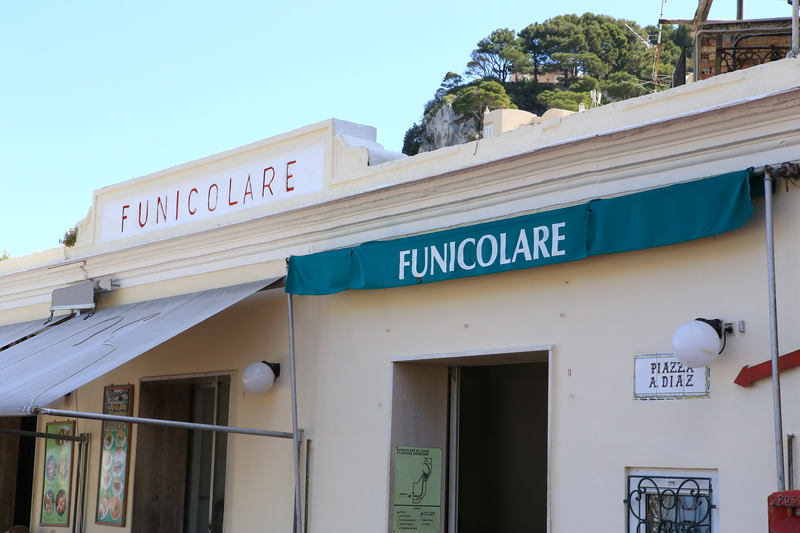 Once at the marina at the large beach you can take a bus up a windy road or a funicular up the hill to the center of Capri city.Take the funicular. it is fast and fun. At the top is the main piazza with its clock tower. In this area are many restaurants, bars, gelaterias and stores. 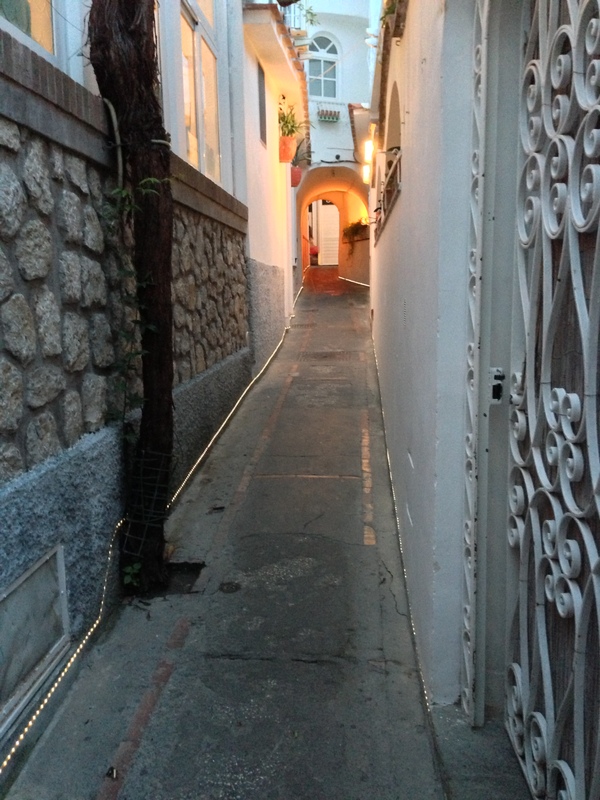 Many of the small streets are alley like but take them and you will discover many interesting stores and shops. So many tourists opt to come on a ferry in the morning and leave in the evening. This is the biggest mistake you can make! Stay at least one night. After the tourists have left, the locals come out. Be a local and enjoy life. This is what being an Italian in Italy is all about. Remember Italy is not a quest to visit as many places as you can in a week. It is about the food, the people, the life, the museums and the cities. You can not fully enjoy or understand Italy without sitting back in each city and being part of the life. Running through a city causes you to miss the life all together reducing Italy to just another tourist destination. Believe me, Italy is not just another tourist attraction!